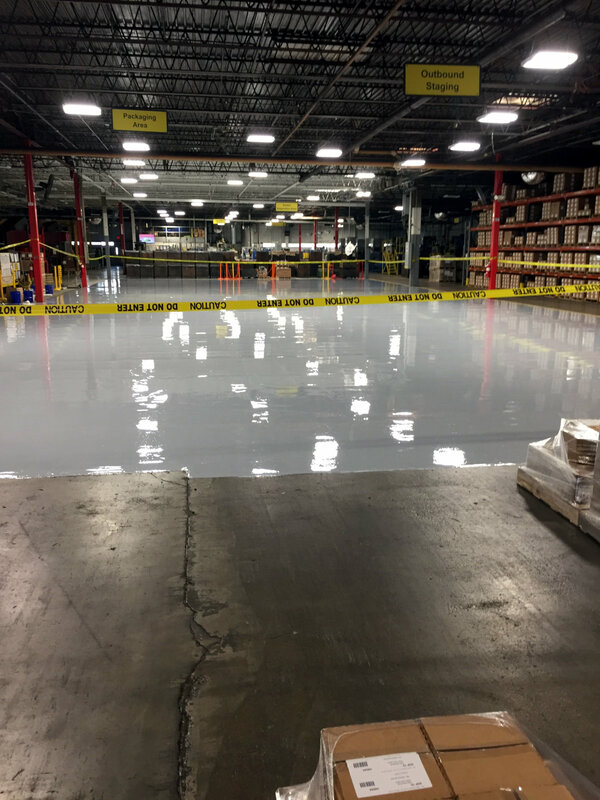 Epoxy systems are very versatile, offering great adhesion, durability, and a wide range of colors. 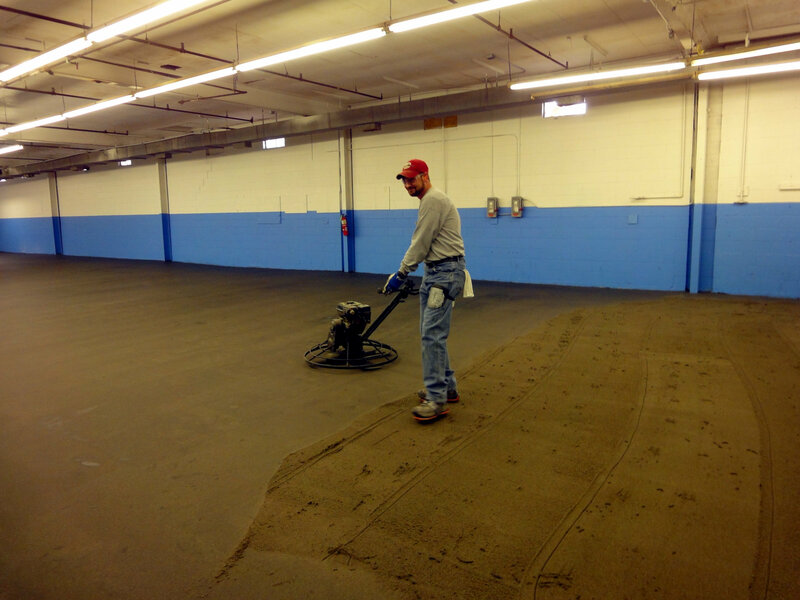 Epoxy toppings are considered the "work-horse" of the flooring industry. 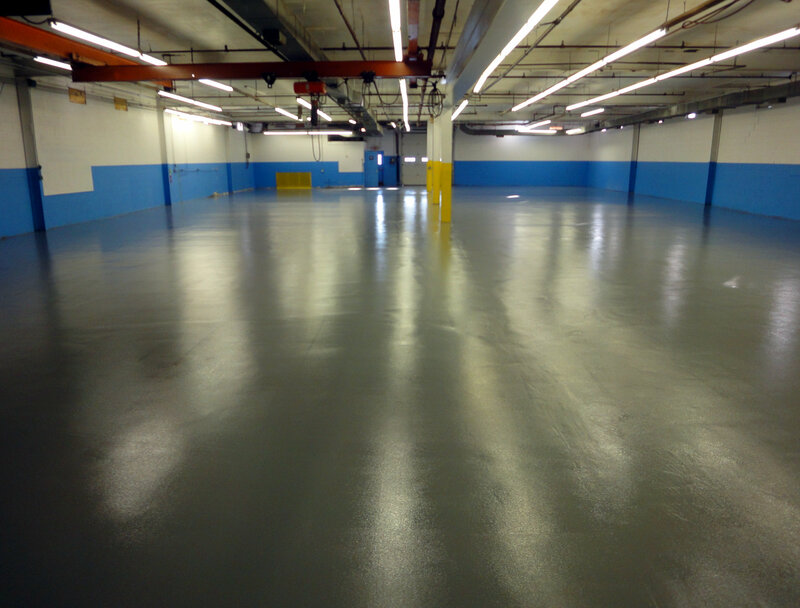 Epoxy coatings are available in a variety of options, with the solvent-free, 100% solids version, being most popular. Novolac epoxy is the most chemical resistant of the family. Solvent-borne epoxies offer superior adhesion and are often used as primers. 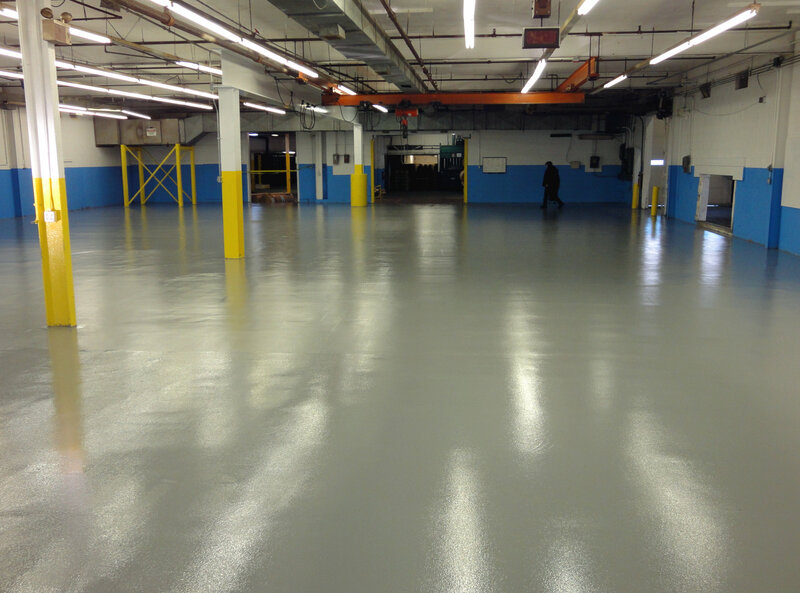 Most resinous floor system utilize an epoxy based primer. Generally, epoxy products are two-component, consisting of a "resin" and a "hardener". The products are typically installed at approximately 200 sq. ft. per gallon, yielding a nominal 8 mils (dry film thickness for 100% solids epoxies). Although installations in excess of 1/4" are not uncommon.